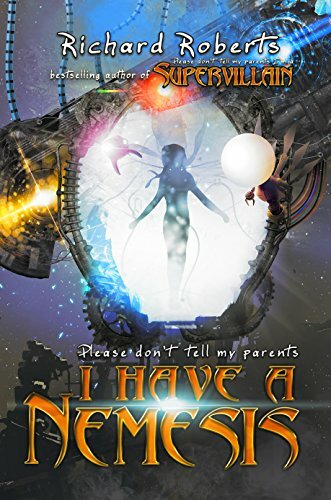 I was completely (and pleasantly) surprised when I happened to be browsing around Amazon the other day and found that Richard Roberts had just recently released the latest installment in his ongoing Please Don’t Tell My Parents series: Please Don’t Tell My Parents I Have a Nemesis. I read, reviewed, and very much enjoyed all three preceding novels in the series: Please Don’t Tell My Parents I’m a Supervillain, Please Don’t Tell My Parents I Blew Up the Moon, and Please Don’t Tell My Parents I’ve Got Henchmen. No way could I pass up the latest of Penny’s adventures! Especially when the summary advertised everything previous was returning again, all the old chickens coming home to roost, which sounds a lot like what one does when ending a series. That feeling that was only enhanced by the blatant declaration that, this time, her parents would find out Penny’s secret, one way or the other. Fortunately, this is not the end of Penny’s story… it is a grand set-up for the ending! The details about that go into a number of spoilers that I hope not to spoil. I will simply say, it sets up the final conflict perfectly. Also, Roberts assures us that, while Penny’s story may be reaching a conclusion, there are other characters in this world he has crafted, and they have stories of their own to tell. With that out of the way, the first thing I’d like to say is how I appreciate how different each book in this series has been. I believe I mentioned before how Supervillain took these youths on an exploration of a world with heroes and villains, then Moon thrust them into a darker world that enhanced their maturity, then Henchmen was about the process of growing up. In the same vein, Nemesis is an introspection of the protagonist, examining who Penny is, what she’s done, and what she’s immediately trying to do. 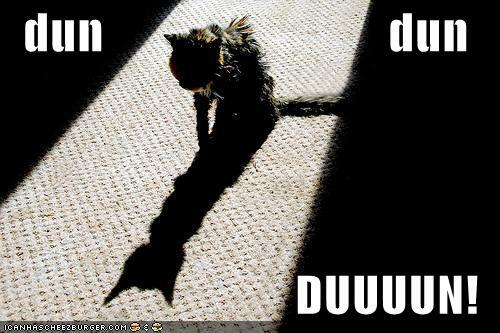 This is Richard Roberts right now. Most of what happens in this novel is, simply: life. Penny has a lot of things going on in her life. Her parents are trying to both train and protect her without pressuring or dominating her. Her dearest friends are moving forward with their respective passions, but still having fun together with her. New and old faces shows up and she has to deal with them, sometimes as friends, sometimes as enemies. She herself grows, learns that she can be her own person as well. All of this while she keeps making friends and helping people. And she ends up having some interesting conversations with herself, both literal and metaphorical. In regards to that last, what Penny is trying to do in the middle of everything is confess the truth to her parents. She’s afraid of that, really, and can’t seem to just tell them. She also wants to retire her villain identity, at long last, and work to become a hero, or something else. That might involve giving up some fun, which no kid does very easily, and her friends, however supportive, aren’t the best influence in that direction, as they all love their time together, especially their villain time. So, she turns to the only person who can really help her: herself. And she constructs an elaborate scheme where she’ll be able to “officially” get out from under the villain title, while simultaneously backing herself into a corner where she’ll have to tell her parents the truth, and, to top it all off, she might even be able to minimize their fury! All around, it looks like a good idea, and it seems to work flawlessly. But, as Indiana Jones once said, when you’re one step away from the prize, that’s usually when the ground falls out from underneath you. Just when all seems to be well, and Penny has surely won the day… there’s a twist ending. 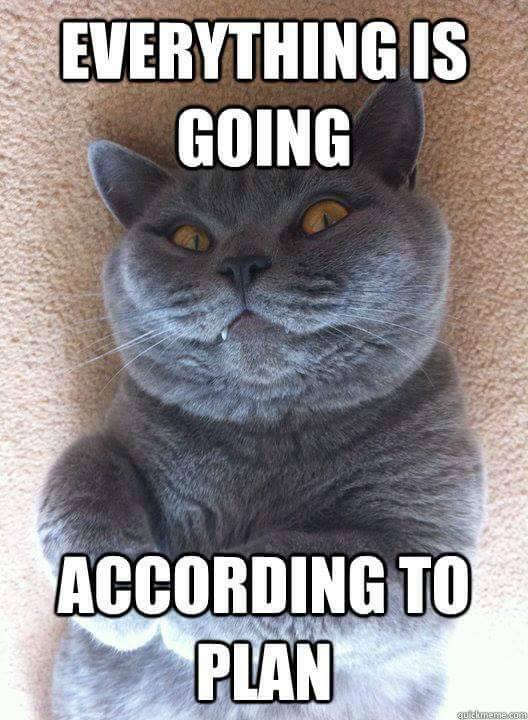 And a cliffhanger thrusting us towards the next novel. But I will say, there are several contenders for who Penny’s nemesis is, but while the story involves them, it culminates in the creation and the unleashing of her most dangerous foe. It catches us by surprise, but it makes perfect sense, and her enemy couldn’t be any more personal. Just when it seems Penny has won, she loses everything. And then, in her truly darkest hour yet, hope finds her, and gets her back on her feet, ready for the true confrontation. This entry was posted in Books, Tuesday Review and tagged Please Don't Tell My Parents, Please Don't Tell My Parents I Blew Up the Moon, Please Don't Tell My Parents I Have a Nemesis, Please Don't Tell My Parents I'm a Supervillain, Please Don't Tell My Parents I've Got Henchmen. Bookmark the permalink. This sounds like quite a delightful series to check out at some point. Thanks for sharing.